World Water Week is a reminder to the public health community that more than 600 million people around the globe do not have a safe water source nearby. Access to clean water is an essential component of good sanitation and hygiene practices, which are fundamental for people’s health in many ways. Water, sanitation and hygiene (WASH) play a crucial role in improving maternal health outcomes during pregnancy, delivery and postpartum. In fact, a 2014 systematic review found a significant association between poor WASH and higher maternal mortality rates. Components of safe delivery that require access to clean water include handwashing by the birth attendant, cutting the umbilical cord with a sterile blade and having a clean delivery surface. 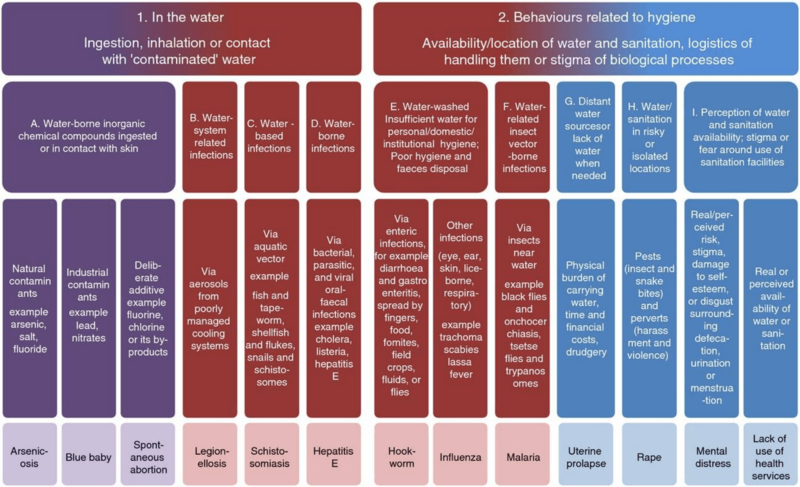 The consequences of poor WASH for reproductive, maternal and newborn health are numerous, as illustrated by the graphic below. A 2015 report from the World Health Organization concluded that 38% of health facilities in low- and middle-income countries (LMICs) lacked access to safe water, 19% lacked sanitation and 35% lacked water and soap for handwashing. Similarly, a study examining health facilities offering maternal health services in Kenya, Namibia, Rwanda, Tanzania and Uganda found that only 36% of primary facilities (those that do not perform cesarean sections) and 60% of secondary facilities (those that do perform cesarean sections) had adequate safe water. In low-resource settings, the availability of clean water and sanitation facilities can be worse for women giving birth at home. Based on data from Demographic and Health Surveys, the percentage of home births that occurred with access to a safe water source and sanitation facilities was 1.5%, 2.9%, 9.6% and 18.5% in Tanzania, Malawi, India and Bangladesh respectively. A 2016 study based on data from 58 LMICs found that women who were poor, had less education or lived in rural areas were at greatest risk of delivering without safe water and sanitation infrastructure. The Sustainable Development Goals (SDGs) for 2030 reflect the growing prioritization of WASH around the world. Understanding and addressing the interconnectedness of the SDGs—including the links between SDG 3 (ensure healthy lives and promote wellbeing for all at all ages) and SDG 6 (ensure access to water and sanitation for all)—is critical to achieving them. Graphic: Campbell, et al. 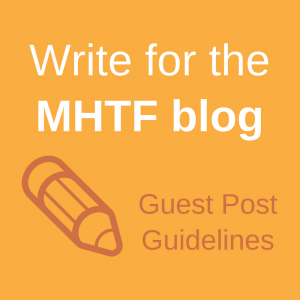 Getting the basic rights – the role of water, sanitation and hygiene in maternal and reproductive health: A conceptual framework. Trop Med Int Health, 2015. Learn more about World Water Week. 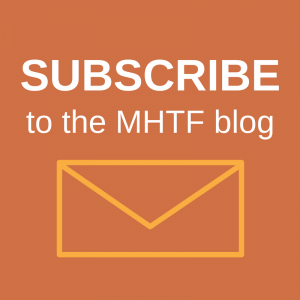 Explore the MHTF’s blog series, WASH and Women’s Health. Watch a video from the Advancing Dialogue on Maternal Health Series, Water, Sanitation and Hygiene Programs as a Strategy to Advance Maternal Health.